Founded in 1939, Thos Holdsworth & Sons Ltd, trading under the brand name Holdson is passionate about entertaining the generations and are proud to have a rich New Zealand heritage. We are as devoted to providing fun family pastimes for all ages. Based in Auckland, we are a manufacturer, importer, and distributor of jigsaw puzzle, game, toy and collectible brands and products throughout New Zealand. Whilst we are best known for our Holdson Jigsaw Puzzles and Wasgij; we also distribute world leading toy brands such as Sylvanian Families, CollectA, Playmobil, Bigjigs, Knex, Make It Real, Spirograph, 4M Craft & Science to name but a few. Our heritage and status as a New Zealand owned business is what makes us unique and we take every opportunity to build on this. Our Managing Director is third generation in the Holdsworth family and this gives our Company a personal foundation which we take very seriously. We encourage each other to think the unthinkable and not be satisfied with 'just good enough' - we remain open to new possibilities when searching for solutions and strive to be the best at what we do. We offer good "old fashioned" service with a smile, and we invite you to contact us at any time for anything - we are here to help. It all began with overrun calendar prints, a pile of plywood and a Singer Sewing machine which was adapted with a jigsaw cutter. Apply print to plywood and cut into jigsaw like shapes. Once a Gross (144) were handmade and wrapped, it was walked from our office at the Hall of Commerce building, Auckland across the road to one of our first customers Whitcombe & Tombs. Goods were received and paid for and the process was repeated. 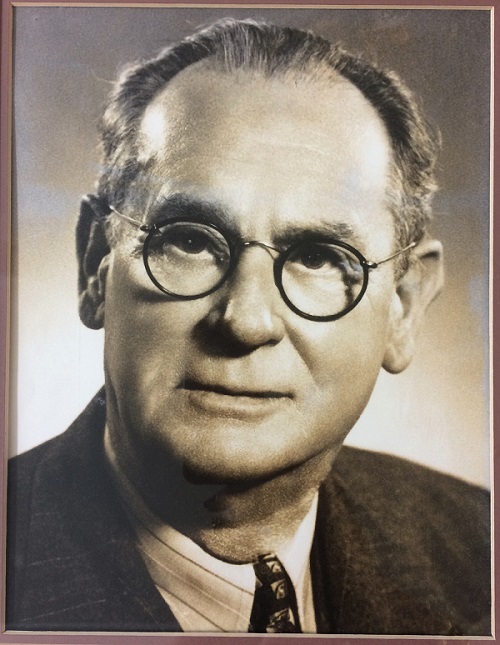 Thomas Holdsworth created his company with his two sons, Alf and Harry and to this day the business still trades as Thos. Holdsworth & Sons Ltd (Holdson). During the ensuing war years, the company had to diversify and make a variety of products including simple board games, greeting cards, children’s book publishing and picture framing. 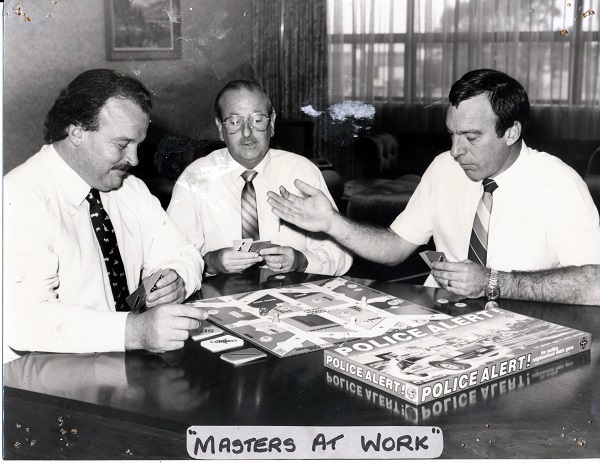 However, wooden puzzles continued to be the mainstay of the company. 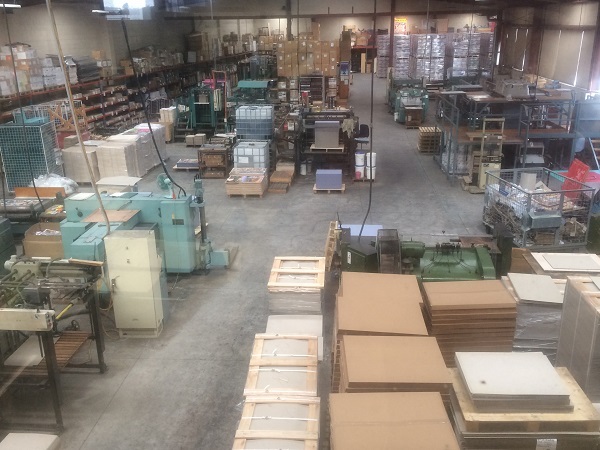 In the 1950’s the company made the transition to cardboard as the raw material for the puzzle range, although wood puzzles still remained in the range until the 1980’s. 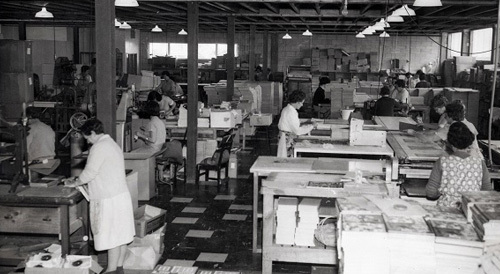 Larger premises were required as production increased, so in 1959, a move was made to Kingsland, Auckland. 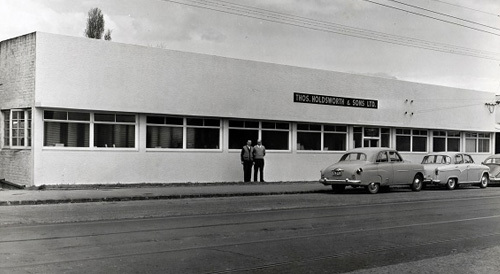 The company would remain here until 1968, when it shifted to a new purpose-built factory in New North Road at Mt Albert. The move to New North Road saw the introduction of the next generation, Lewis Holdsworth (grandson of Thomas) who joined the business as a machine operator and eventually took the role of Production Director. In 1982, Simon Holdsworth joined the business as Managing Director, to join his brother Lewis and cousin Michael Holdsworth (Sales Director). In 1985, a further move West occurred to Rosebank Road, to a new factory, still in use today. Both Michael and Lewis retired from the company and their incumbents are Peter Recchia (Head of Production) and Fleur Tisdale (Sales & Marketing Director). Simon is still Managing Director to this day. Phone: 0800 80 1939 or Contact us - Your feedback is important to us.